GRRLib Forum / Filling screen with 16x16 tiles? » Filling screen with 16x16 tiles? Filling screen with 16x16 tiles? 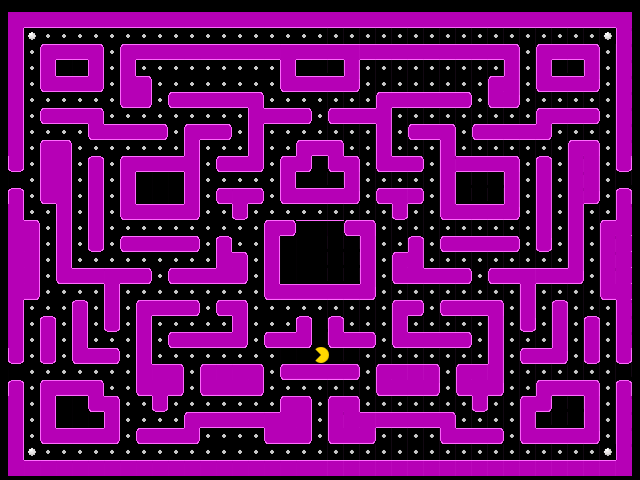 I'm making a pac-man clone, and I'm using TileStudio to draw the maps. Does anyone know why this implementation doesn't work for filling the screen with tiles? I tried a similar implementation earlier where the loop drew the horizontal tiles as well, but it only drew one tile (or possibly all of the tiles on top of eachother). Map1Data is just a two dimensional array of . This current implementation only draws the top row of tiles, and I'd like to to do all of them. Re: Filling screen with 16x16 tiles? Calling MapReset(); doesn't seem to work, ever. It's like the pellet code is the only thing that even has access to the main tileset aside from the renderer. If this isn't enough of the code to help, I'll post the whole source. Either way should work, but you have them mixed up in yours. yeah I was doing that intentionally, I forget my reasoning behind it. It turns out if I nest a for loop inside of a for loop, the functionality is lost. However if I stuff the inner for loop into its own function and call it inside of a for loop from the BeginGame() function, it works fine. so you can't have Map1Data[v][h] and have v go to 39 and h go to 29... that's gonna make it do Map1Data not Map1Data. wait, so it works now? Now all I have to do is program a proper collision system and some ghost objects. The pellets are actually tiles that erase themselves when you touch them. edit: nevermind, problem solved. Does anyone know why GRRLIB might not draw partially offscreen tiles/images?